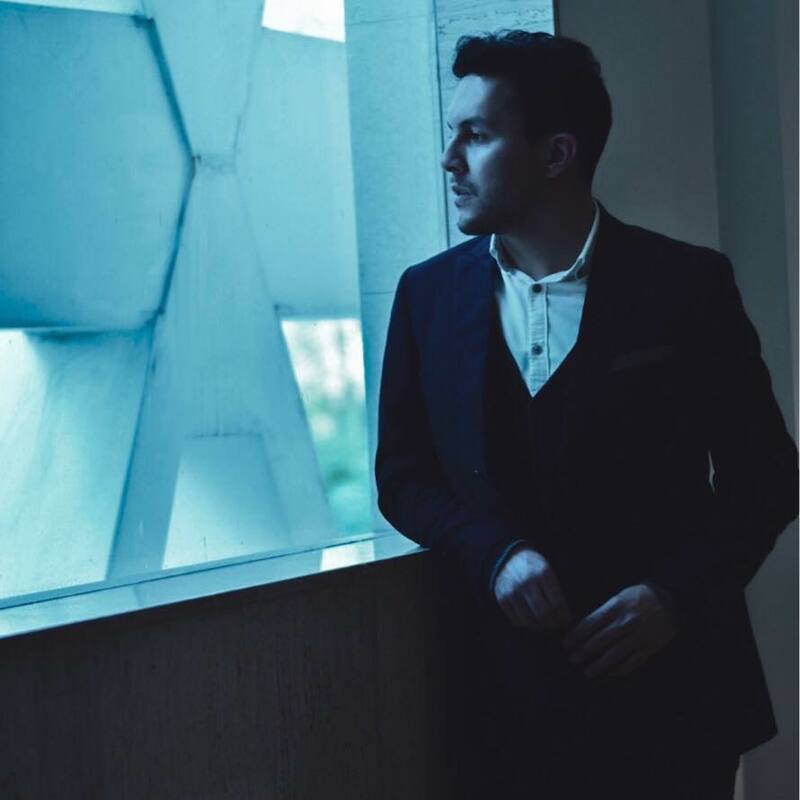 Frontman and singer Gustavo Moreno from the indie band "Forever in Series" impresses with atmospheric music, as well as with wonderful music videos, inspired by life. Behind it is also a concept - to create music with honest lyrics and real life experiences, which reflects with important moments of life, is the philosophy behind Forever in Series. We had an interview with founder Gustavo about the music, the inspiration and a lot more in an interview. Pioneers is your current EP. How does the work generally appeal to listeners? Yes, right now I’m in the middle of the EP promotion cicle. It has been great so far, what it really excites me is that everyone has their favourite song. People don´t just go and add the singles to their playlist, they actually listen to the entire record and they choose a song, that I would´ve never thought before, afterwards. How are your songs created? Do you first write the lyrics and then the music or vice versa? I actually have a weird process. I write both things simultaneously. 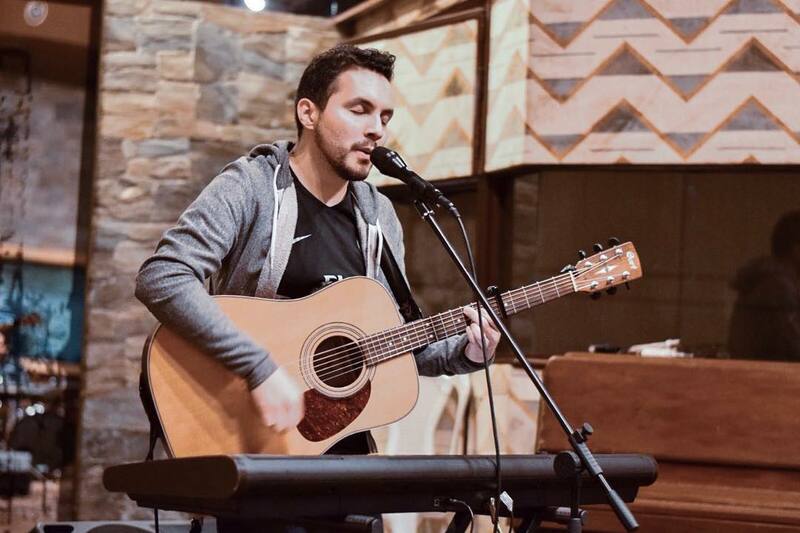 I can grab my acoustic guitar or my piano, and start experimenting with chords and riffs, once I have a chord progression that I like, I try to listen to it several times and try to find what actually those chords want to say. I know that it might sound odd, but I believe that words and sounds are connected, and some phrases sound better with some chords or some chords with an specific sentence. If you notice in some movies, some scenes or convesations between the characters are more deep and meaningful thanks to the soundtrack that is playing in that moment, and that is what I try to achieve when I write a song. The debut EP was released in the summer of 2018. 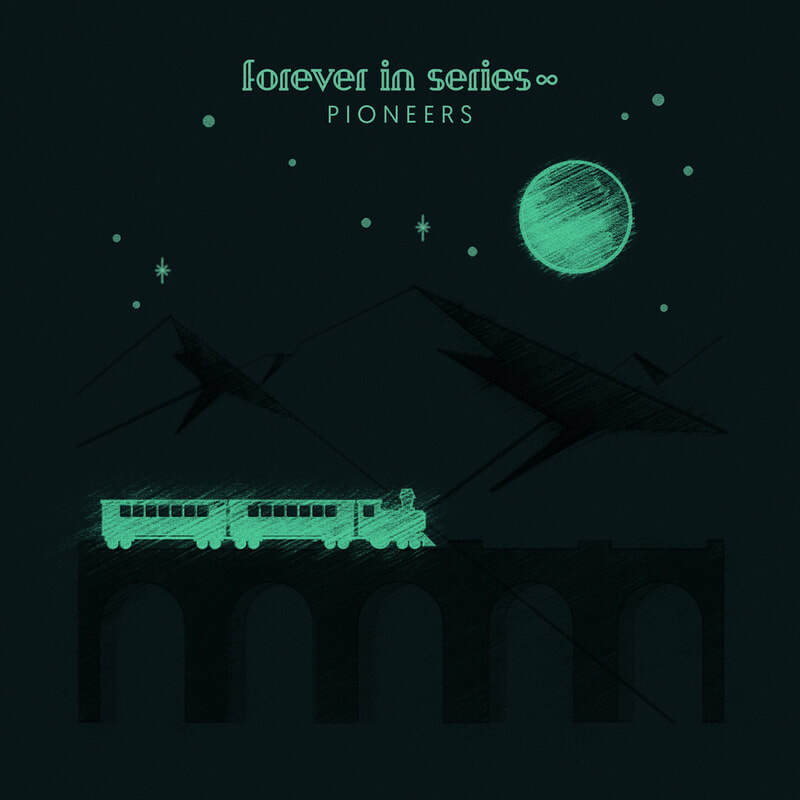 Which piece on Pioneers is your favorite and why? Which song have you worked on for a long time so that it was perfect for you? Haha that is so difficult, it is like thinking on which of your sons might be your favourite. But if I had to, I would say Paper Promises, since when I finished writting it, I felt that this was the type and music genre that I wanted to chase down the path for my musical carrer. At that time, I was really into Ben Howard and It felt like if I had written one of his bonous tracks for his album. I was so happy at that moment, so I woud say it is my favourite because of that. Now, regarding the creative and working process, I would say that New Hampshire took most of my time in the recording studio. It was really difficult to add a melody and instrumentation to that song since I wrote that song in an odd key, some really weird chord inversions and an exhausting chord voicing. To this day, several musicians that play with me really hate to improvise or add their style to that song because of that haha, but I really was determined to accomplish that song. I wanted to challenge myself with not skipping any song of the demos and make the best from every song. What sources of inspiration do you use when writing music? Well, to be honest, I think that they change between the seasons. But most recently, I think that just thinking about life. I have lived through many situations on a short period of time that it has helped mature my writting process. I try to add a soundtrack or a musical scene to certain topics in life, so that helps me a lot. It is like trying to add music to a movie that your watching. I’m sorry to be so redundant about movies and soundtracks haha but I think that it has worked for me. I think that it is what defines this project. Creating music with honest lyrics and real life experiences is the philosophy behind Forever in Series. Why is that so important to you and do you think there should be more "real references" in the music? I don´t want to determine or write a law in the books of music about how you are supossed to write music, or even lyrics haha, but I have always thought that art has been about belonging. Most people use arte or enjoy art to find an identity, so I really wanted to write songs that people can say “Hey, I’m feeling like that“ or, “that’s what I wanted to say”. Also, I’m trying to be honest with people and with myself. I’m not the guy that goes to the club and gets drunk every weekend haha, so I don’t feel like I can write something that is not me. I think that it is good that some artists write about things that most people haven’t lived yet, I mean it is their style, and again, I think that people want to belong, so that is the beauty of lyrics. People can decide where they want to belong and sometimes, you can be part of many things. Your songs are very creative and stylistically based on many music areas. Especially the melancholic, romantic touch is quite emotive. Does the listener sometimes look into your soul with some pieces? Oh, wow. This question really got me haha. It reminds me to something I said when I was in college studying music and my algebra teacher (We had to take math and science courses as well) asked me what I didn’t like about music and I said: “The only thing that I hate about being an artist is that I have to allow myself to feel more than what a regular person does”. When I decided to be a singer-songwriter I knew that I had to put myself on those songs. If I wanted my music to be as honest as most of the artists that I looked up to before, I had to write my mind and heart out. There is definitely some personal emotions and ideas about life in this record, so I can say that the audience can know a lot of what I was going through when I wrote the EP. I don’t want to call myself a melancholic haha, but I can certainly say that on this EP, I wanted to show that growing up can be more than just being in love or breaking up with someone. The music videos are really impressive, especially the enchanting "All the Things I Can not Undone" - please tell how these little works of art are made. How was the work with the kids? It definetly showed me that I couldn’t be a teacher haha. Just a joke. Working with those kids was amazing and overwhelming. Specially working with Benjamin, the main character. He was a really shy kid who didn’t want to act at all at first, but I got to know the kid a little more and we really started to bond since he was a huge Lego fan, a video game lover, and a Star Wars follower, just as myself. The longer we got to hang out, I noticed that this kid was incredibly smart, he showed me that he wanted to be an engineer, but he was not really good at sports. I knew that this song was for him, I wanted to portray that you can find your way out of hard situations with what makes you great, so we practically started from there. Now, about the Paper Promises 360° music video, I know that it doesn’t have a relation with the lyrics. Basically, it came from the idea that in music videos, some people want to look at the bassist or look how the drummer performs, so I said: “What about if we let people take control of what they want to see?”, so that is how the 360° idea came to the scene for this song and we adventured into that path. Adding some little details as well. How hard is it today to compose down-to-earth indiemusic in times of casting shows and hit parades? Is it sometimes difficult to escape the mainstream? To be honest, I think that it is a matter of perspective from each musician. I have tried to educate my self to be open to many music genres, even mainstream music. You can find me listening to Drake in one moment and listening to Lucy Rose in the other. I can be blasting Selena Gomez through the speakers of my car in the morning and playing some Architects songs on my drum kit in the afternoon. Nowadays, I believe that you have to be open to so many things if you want to develop as musician, lyrics as well. I mean, mainstream music is doing something right, that’s why it is so popular, and I try to learn from that at the moment of writing music. 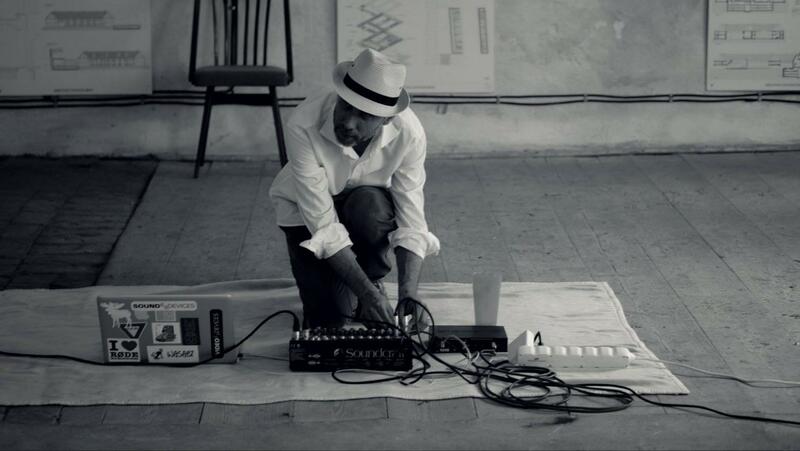 I always want to write honest music, is part of my sound, but I also want it to be enjoyable. I try to spend as much time, making sure that the words and phrases that I write, can find a catchy way to stay in your mind. Writing hooks in your songs are important, and what can be better than finding the perfect mix between a catchy tune and some lyrics that actually people can sing to. I don’t know, I guess it has to be with the personality of each artist. I really like the music that I make, I really like folkish-singer-songwriter stuff, but I don’t think that people would believe me if I started to sing about one-night stands or betting at the casino haha. It’s not me, once you are honest with yourself and with the things you can write as an experience or something worth sharing, I believe that you’ll be all right. What does it mean for you to perform live in front of an audience? How is the work with the other guys who accompany you on stage? I love to perform in front of people. I have found that playing your music in front of people is the best way of becoming a better performer. I always loved playing music, but I have always been really shy, so it took me a lot of rehearsals to start loosing myself and feel comfortable with being a front man, a solo artists. I have always played in bands, but I have never been the front man or the leader of the band, just the pianist and guitarists that writes the songs and stands behind the main star. So now, I take every live performance as an opportunity to learn from what I transmit to the audience. I have learned that it doesn’t matter if you play for one person or for thousand of people, your show and performance will be as good as what you are transmitting to the public. I always try to remember that and that it is what I try to influence the musicians that play with me. Right now, I feel that I am playing with the right people. Not just musicians, but my best friends. I believe in rehearsing and polishing the little details as much as you can, but also a strong relationship with your musicians or band members is crucial if you want to perform your art. It is one of the first things that people will notice when you get up on the stage, so one good portion of the work with the musicians I play, ends up with having a strong bond. What advice would you give to young musicians who like to make music but who think they are too bad and do not want to publish it? You are asking the wrong guy haha I still feel like one of those young musicians. But, the reality is that music is an experience, a way of life, and something worth living. I can recommend first on thinking what I what you want to do with music. Try to focus on what you want to accomplish, and once you get that, work towards that. Start recording and creating things, even on your cell phone or on Instagram videos. Share it; don’t be afraid of getting feedback, because you might learn the best next piece of advice to develop your voice or your songwriter skills. Look up for places in your area where you can start playing, that will give you the confidence for knocking doors, start recording at a studio or playing with other people. Always be ready to learn, I always try to learn, because I still believe that I can do a better work than what I did yesterday. Always be humble, being humble always opens more doors than acting like a rockstar, I mean, try to be nice with other musicians because you might be working with other musicians in the future and what else can be better than working with people as passionate and friendly as you are? Oh, and most important, practice, practice, and practice. And practice after that. I have changed my mentality and learned the importance of less is more. Over 10 years you make music now. What has changed since then? Positive aspects as well the negatives? So many things. Specially, my long hair haha. If I have to think on the positives, I would first and most importantly think in all the knowledge that I have learned. I have played with tons of bands and in different music genres. That made me the singer-songwriter that I am trying to be. I have changed my mentality and learned the importance of less is more. As someone with a metalcore and deathmetal background, I have noticed the importance of silence in music; it can change drastically the course of a song, so that is the first things that come to my mind when I think of the positives. Now the negatives, I think this is a tough one, because as an artist, you always want to develop and be the best you can be, but to be honest, one of the things that have changed for the worst is that I don’t take enough time for listening new albums as I would like to. I am always trying to work around my music, but between the rehearsals, trying to work on my social media, recording ideas, studying new things music related, and preparing for shows and tours, I hardly take a moment to smell the roses (musically speaking). Don’t get me wrong, I love it, but once you decide to make your hobbies and passion into your career, you have to be very careful on not letting those tiny things that made you fall in love with art, disappear. I’m getting better with that, but I have to keep making more time to jus sit down and appreciate the work of others. What are the other goals? Do you already have plans for the future? Maybe an album? Right now, I found myself back in my hometown preparing for a little acoustic tour that I would have in North America starting next week. I will be moving between Seattle and Toronto, so definitely that is where my mind is right now. I also have started writing for my next album. I have around sixteen songs that I want to work around and see which make the final cut, since I want this album to be different as my previous EP. I don’t want to reinvent the wheel, but I want to take the time necessarily to make an identity for each song. I’m really excited for the next year, since I will start making contacts with record labels, some other artists here in America and across Europe to get more tours. I want to visit Germany again actually, but this time as a touring musician. I have always found this part of Europe so culturally rich. People in Germany are very artistically, so definitely going back to Berlin, Dortmund, Kohl, Frankfurt, and Munich, is a must. After coming back from this little run across the States, I will start recording an acoustic session for Count Your Steps and a Music Video for Just Please Say No, with a local Industrial Designer. So yeah, next year is packed with a lot of projects here at Forever in Series and Associates, just before hitting the studio again, this time in London. No, André. Thanks to you and for this amazing outlet that you are creating. I feel really honoured of being part of this and for the interest in my music. I just want to encourage to any of the readers to be aware of what is happening in your local scene. Some great artists are merging to the scene everywhere in the world and you wouldn’t want to miss this. Let’s all enjoy this ride. Frontmann und Sänger Gustavo Moreno von der Indie-Band „Forever in Series“ beeindruckt mit atmosphärischer Musik, sowie mit wundervollen Musikvideos, aus dem Leben inspiriert. Dahinter steckt auch ein Konzept – Mit ehrlichen Texten und realen Lebenserfahrungen eine Musik zu erschaffen, die sich mit wichtigen Momenten im Lebens reflektiert, ist die Philosophie hinter Forever in Series. Wir haben mit Gründer Gustavo ein Interviews über die Musik, die Inspiration und einiges mehr ein Interview geführt. Hallo Gustavo, wie geht es dir? Pioneers ist Deine aktuelle EP. Wie kommt die Musik im Allgemeinen beim Zuhörer an? Ja, ich bin gerade mitten im EP-Werbekreis. Es war bisher großartig, was mich wirklich begeistert, ist, dass jeder sein Lieblingslied hat. Die Leute fügen nicht einfach die Singles zu ihrer Playlist hinzu, sie hören sich tatsächlich die gesamte Platte an und wählen einen Song aus, an den ich vorher nie gedacht hätte. Wie werden deine Songs erstellt? Schreibst du zuerst die Texte und dann die Musik oder umgekehrt? Ich habe eigentlich einen merkwürdigen Prozess. Ich schreibe beide Sachen gleichzeitig. Ich kann mir meine Akustikgitarre oder mein Klavier schnappen und anfangen, mit Akkorden und Riffs zu experimentieren. Sobald ich eine Akkordfolge habe, die ich mag, versuche ich, sie mehrmals anzuhören und zu finden, was diese Akkorde eigentlich sagen wollen. Ich weiß, dass es sich seltsam anhört, aber ich glaube, dass Wörter und Klänge miteinander verbunden sind, und einige Phrasen klingen besser mit einigen Akkorden oder einigen Akkorden mit einem bestimmten Satz. Wenn Sie in einigen Filmen feststellen, sind einige Szenen oder Zusammenhänge zwischen den Charakteren dank des Soundtracks, der gerade abgespielt wird, tiefer und bedeutungsvoller. Dies ist der Aspekt, was ich beim Schreiben eines Songs erreichen möchte. Die Debüt EP erschien im Sommer 2018. Welches Stück auf Pioneers ist dein Favorit und warum? An welchem ​​Song hast du lange gearbeitet, damit es perfekt für dich war? Haha, das ist so schwierig, es ist, als ob du darüber nachdenkst, welcher deiner Söhne dein Favorit ist. Aber wenn ich müsste, würde ich Paper Promises sagen, denn als ich mit dem Schreiben fertig war, hatte ich das Gefühl, dass dies der Typ und das Musikgenre war, nach dem ich den Weg für meine musikalische Karriere suchen wollte. Zu dieser Zeit war ich wirklich begeistert von Ben Howard und es fühlte sich an, als hätte ich einen seiner knackigen Tracks für sein Album geschrieben. Ich war in diesem Moment so glücklich, deshalb würde ich sagen, dass es mein Favorit ist. In Bezug auf den kreativen Prozess und den Arbeitsprozess würde ich sagen, dass New Hampshire die meiste Zeit im Tonstudio verbrachte. Es war wirklich schwierig, diesem Song eine Melodie und Instrumentierung hinzuzufügen, da ich diesen Song in einer ungeraden Tonart geschrieben habe, einige wirklich komische Akkordumkehrungen und ein erschöpfendes Akkord-Voicing. Bis heute hassen es einige Musiker, die mit mir spielen, wirklich, zu improvisieren oder ihren Stil zu diesem Song hinzuzufügen, aber ich war wirklich entschlossen, diesen Song zu vollenden. Ich wollte mich selbst herausfordern, indem ich keinen Song der Demos übersprang und aus jedem Song das Beste herausholte. Welche Inspirationsquellen nutzt Du beim Schreiben von Musik? Um ehrlich zu sein, denke ich, dass sie sich zwischen den Jahreszeiten ändern. Aber in letzter Zeit denke ich gerade daran, über das Leben nachzudenken. Ich habe viele Situationen in einer kurzen Zeit durchlebt, in der ich meinen Schreibprozess reifen konnte. Ich versuche, bestimmten Themen im Leben einen Soundtrack oder eine Musikszene hinzuzufügen, was mir sehr hilft. Es ist, als würde man versuchen, einem Film Musik hinzuzufügen, die man sieht. Es tut mir leid, dass ich über Filme und Soundtracks so überflüssig bin, haha, aber ich denke, dass es für mich funktioniert hat. Ich denke, das ist es, was dieses Projekt ausmacht. Das Erstellen von Musik mit ehrlichen Texten und echten Erfahrungen ist die Philosophie von Forever in Series. Warum ist das für Dich so wichtig und denken du, dass es mehr "echte Bezüge" in der Musik geben sollte? Ich möchte in den Musikbüchern kein Gesetz festlegen oder darüber schreiben, wie sehr Sie Musik oder sogar Texte schreiben, haha, aber ich habe immer gedacht, dass es in der Kunst um Zugehörigkeit geht. Die meisten Leute benutzen Kunst oder mögen Kunst, um eine Identität zu finden, also wollte ich wirklich Songs schreiben, die die Leute sagen können: "Hey, ich fühle mich so" oder "das ist, was ich sagen wollte". Ich versuche auch, mit den Menschen und mir selbst ehrlich zu sein. Ich bin nicht der Typ, der in den Club geht und jedes Wochenende besoffen wird, haha. Ich habe nicht das Gefühl, etwas schreiben zu können, das ich nicht bin. Ich denke, es ist gut, dass einige Künstler über Dinge schreiben, die die meisten Menschen noch nicht gelebt haben. Ich meine, es ist ihr Stil, und ich denke, dass die Leute dazugehören, das ist die Schönheit der Texte. Menschen können entscheiden, wo sie hingehören möchten, und manchmal können Sie an vielen Dingen beteiligt sein. Deine Songs sind sehr kreativ und stilistisch in vielen Musikbereichen angesiedelt. Besonders die melancholische, romantische Note ist sehr emotional. Blickt der Hörer manchmal mit einigen Stücken in deine Seele? Oh, wow. Diese Frage hat mich wirklich sehr berschäftigt. Es erinnert mich an etwas, das ich sagte, als ich an der Universität Musik studierte, und mein Algebra-Lehrer (wir mussten auch Mathematik- und Naturwissenschaftskurse belegen), fragte mich, was ich an Musik nicht mochte, und ich sagte: „Das einzige, was ich Ich hasse es, ein Künstler zu sein. Ich muss mir erlauben, mehr zu fühlen als ein normaler Mensch. “ Als ich mich dazu entschloss, Sänger und Songwriter zu werden, wusste ich, dass ich mich auf diese Songs einstellen musste. Wenn ich wollte, dass meine Musik so ehrlich ist wie die meisten Künstler, zu denen ich vorher aufgesehen habe, musste ich meine Gedanken und mein Herz ausschreiben. Es gibt definitiv ein paar persönliche Gefühle und Vorstellungen über das Leben in diesem Album. Ich kann also sagen, dass das Publikum eine Menge von dem wissen kann, was ich durchmachte, als ich die EP schrieb. Ich möchte mich nicht als melancholisch haha ​​bezeichnen, aber ich kann mit Sicherheit sagen, dass ich auf dieser EP zeigen wollte, dass Aufwachsen mehr kann als nur verliebt zu sein oder mit jemandem Schluss zu machen. Die Musikvideos von Dir sind wirklich beeindruckend, vor allem das bezaubernde "All the Things I Can not Undone" - bitte erzähle mir, wie diese kleinen Kunstwerke entstehen. Wie war die Arbeit mit den Kids? Es hat mir definitiv gezeigt, dass ich kein Lehrer sein kann, haha. Nur ein Witz. Die Arbeit mit diesen Kindern war unglaublich und überwältigend. Speziell bei der Hauptfigur Benjamin. Er war ein wirklich schüchternes Kind, das anfangs überhaupt nicht schauspielern wollte, aber ich lernte das Kind ein wenig mehr kennen, und wir begannen wirklich, eine Bindung einzugehen, da er ein großer Lego-Fan, ein Videospielliebhaber und ein Star Wars Anhänger, genau wie ich. Je länger wir uns auf den Weg machten, fiel mir auf, dass dieser Junge unglaublich klug war. Er zeigte mir, dass er Ingenieur werden wollte, aber er war nicht wirklich sportlich. Ich wusste, dass dieses Lied für ihn war, ich wollte darstellen, dass man aus harten Situationen herausfinden kann, was dich großartig macht, also fingen wir praktisch an. Über das Paper Promises 360 ° -Musikvideo weiß ich, dass es keine Beziehung zu den Texten hat. Im Grunde kam es von der Idee, dass in Musikvideos einige Leute den Bassisten anschauen oder schauen wollen, wie der Schlagzeuger spielt, also sagte ich: „Was ist, wenn wir den Leuten die Kontrolle über das geben, was sie sehen wollen?“, So so kam die 360 ​​° - Idee für dieses Lied auf die Szene und wir haben diesen Weg eingeschlagen. Einige kleine Details wurden noch hinzufügt. Wie schwer ist es heute, in Castingshows und Hitparaden bodenständige Indiemusik zu komponieren? Ist es manchmal schwierig, dem Mainstream zu entkommen? Um ehrlich zu sein, denke ich, dass es für jeden Musiker eine Frage der Perspektive ist. Ich habe versucht, mich zu erziehen, um für viele Musikgenres offen zu sein, sogar für Mainstream-Musik. Du kannst mich in einem Moment Drake und im anderen Moment Lucy Rose anhören. Ich kann Selena Gomez morgens durch die Lautsprecher meines Autos schießen und am Nachmittag ein paar Architektenlieder auf meinem Schlagzeug spielen. Heutzutage glaube ich, dass man für so viele Dinge offen sein muss, wenn man sich als Musiker weiterentwickeln möchte. Ich meine, Mainstream-Musik macht etwas richtig, deshalb ist sie so beliebt und ich versuche im Moment des Musizierens davon zu lernen. Ich möchte immer ehrliche Musik schreiben, ist Teil meines Sounds, aber ich möchte auch, dass es Spaß macht. Ich versuche, so viel Zeit zu verbringen, dass ich mit den Wörtern und Ausdrücken, die ich schreibe, einen eingängigen Weg finden kann, um in Gedanken zu bleiben. Das Schreiben von Hooks in deine Songs ist wichtig, und was kann besser sein, als die perfekte Mischung zwischen einem Ohrwurm und einigen Texten zu finden, zu denen die Leute tatsächlich singen können. Ich weiß nicht, ich denke, es muss mit der Persönlichkeit jedes Künstlers sein. Ich mag die Musik, die ich mache, wirklich, ich mag wirklich volkstümliche Sänger-Songwriter-Sachen, aber ich glaube nicht, dass die Leute mir glauben würden, wenn ich anfangen würde, über One-Night-Stands zu singen oder im Casino zu wetten, haha. Ich bin es nicht, wenn Sie ehrlich zu sich selbst sind und mit den Dingen, die Sie als Erfahrung oder als etwas Wertvolles schreiben können, glaube ich, dass es Ihnen gut geht. Was bedeutet es für Dich, live vor Publikum zu Spielen? Wie ist die Arbeit mit den anderen Jungs, die dich auf der Bühne begleiten? Ich spiele gerne vor Menschen. Ich habe festgestellt, dass das Musizieren vor Menschen die beste Art ist, ein besserer Performer zu werden. Ich habe es immer geliebt, Musik zu spielen, aber ich war schon immer sehr schüchtern, so dass ich viele Proben brauchte, um mich zu verlieren und mich als Frontmann und Solokünstler wohlzufühlen. Ich habe immer in Bands gespielt, aber ich war nie der Frontmann oder der Anführer der Band, nur der Pianist und der Gitarrist, der Songs schreibt und hinter dem Hauptstar steht. Deshalb nehme ich jetzt jede Live-Performance zum Anlass, um zu lernen, was ich dem Publikum übermittle. Ich habe gelernt, dass es egal ist, ob ich für eine Person oder für Tausende spiele. Ich versuche immer, mich daran zu erinnern und es ist das, was die Musiker beeinflusst, die mit mir spielen. Im Moment spüre ich, dass ich mit den richtigen Leuten spiele. Nicht nur Musiker, sondern meine besten Freunde. Ich glaube daran, die kleinen Details so viel wie möglich zu proben und zu polieren, aber auch eine starke Beziehung zu Ihren Musikern oder Bandmitgliedern ist entscheidend, wenn Sie Ihre Kunst aufführen möchten. Es ist eines der ersten Dinge, die die Leute bemerken werden, wenn Sie auf der Bühne stehen. Ein guter Teil der Arbeit mit den Musikern, die ich spiele, endet mit einer starken Bindung. Welchen Rat würdest du jungen Musikern geben, die gerne Musik machen, die sich aber für zu schlecht halten und sie nicht veröffentlichen wollen? Du fragst den Falschen, haha, ich fühle mich immer noch als einer dieser jungen Musiker. Die Realität ist jedoch, dass Musik eine Erfahrung, eine Lebensweise und etwas Lebenswertes ist. Ich kann zuerst überlegen, was ich mit Musik machen möchte. Versuchen Sie, sich auf das zu konzentrieren, was Sie erreichen möchten, und wenn Sie das verstanden haben, arbeiten Sie darauf hin. Beginnen Sie mit der Aufnahme und Erstellung von Dingen, sogar auf Ihrem Handy oder auf Instagram-Videos. Teilt es; Scheuen Sie sich nicht, Feedback zu erhalten, da Sie möglicherweise den nächsten Ratschlag erhalten, um Ihre Stimme oder Ihre Fähigkeiten als Songwriter zu entwickeln. Suchen Sie nach Orten in Ihrer Nähe, an denen Sie mit dem Spielen beginnen können. Dies gibt Ihnen die Sicherheit, Türen zu schlagen, im Studio aufzunehmen oder mit anderen Personen zu spielen. Sei immer bereit zu lernen, ich versuche immer zu lernen, weil ich immer noch glaube, dass ich eine bessere Arbeit leisten kann als gestern. Sei demütig, es öffnet immer mehr Türen, als sich wie ein Rockstar zu benehmen. Ich meine, versuche, nett zu anderen Musikern zu sein, weil du vielleicht in der Zukunft mit anderen Musikern zusammenarbeitest. Oh und vor allem üben, üben und üben. Und danach üben. Ich habe meine Mentalität geändert und gelernt, dass weniger- mehr ist. Frontmann Gustavo Moreno aus England. Über 10 Jahre machst du jetzt Musik. Was hat sich seitdem geändert? Positive Aspekte ebenso wie die Negative? So viele Dinge. Speziell meine langen Haare haha. Wenn ich über das Positive nachdenken muss, würde ich zuerst und vor allem in all dem Wissen, das ich gelernt habe, das positive sehen. Ich habe mit Tonnen von Bands und in verschiedenen Musikrichtungen gespielt. Das machte mich zu dem Singer-Songwriter, den ich zu sein versuche. Ich habe meine Mentalität geändert und gelernt, dass weniger mehr ist. Als jemand mit Metalcore- und Deathmetal-Hintergrund habe ich die Bedeutung der Stille in der Musik bemerkt. Es kann den Verlauf eines Liedes drastisch ändern. Das sind die ersten Dinge, die mir in den Sinn kommen, wenn ich an die Positiven denke. Nun, die Negative, ich denke, das ist eine schwierige Frage, denn als Künstler möchtest du dich immer weiterentwickeln und das Beste sein, das Sie können. Ich brauche nicht genug Zeit, um neue Alben anzuhören, wie ich es gerne hätte. Ich versuche immer, meine Musik zu umgehen, aber zwischen den Proben, dem Versuch, in meinen sozialen Medien zu arbeiten, Ideen aufzunehmen, neue musikalische Dinge zu studieren und mich auf Shows und Touren vorzubereiten, brauche ich kaum einen Moment, um Rosen zu riechen (im akustischen Sinne). Versteht mich nicht falsch, ich liebe es, aber wenn man sich entschlossen hat, Hobbys und Ihre Leidenschaft in Ihre Karriere zu integrieren, müssen Sie sehr vorsichtig sein, um die kleinen Dinge, die Sie in die Kunst verliebt haben, nicht verschwinden zu lassen. Ich werde damit besser, aber ich muss mir immer mehr Zeit nehmen, um mich hinzusetzen und die Arbeit anderer zu schätzen. Was sind die anderen Ziele? Hast du schon Pläne für die Zukunft? Vielleicht ein Album? Jetzt bin ich wieder in meiner Heimatstadt, um mich auf eine kleine akustische Tour vorzubereiten, die ich ab nächster Woche in Nordamerika haben werde. Ich werde zwischen Seattle und Toronto umziehen, also bin ich auf jeden Fall im Moment dabei. Ich habe auch angefangen, für mein nächstes Album zu schreiben. Ich habe ungefähr sechzehn Songs, um die ich mich kümmern muss, um den finalen Cut zu machen, da dieses Album anders sein soll als meine vorherige EP. Ich möchte das Rad nicht neu erfinden, aber ich möchte mir unbedingt die Zeit nehmen, um für jedes Lied eine Identität zu schaffen. Ich freue mich sehr auf das nächste Jahr, da ich Kontakte zu Plattenfirmen knüpfen werde, einige andere Künstler hier in Amerika und in ganz Europa, um mehr Touren zu bekommen. Eigentlich möchte ich Deutschland wieder besuchen, diesmal aber als Touristen. Ich habe diesen Teil Europas immer so kulturell reich gefunden. Die Menschen in Deutschland sind sehr künstlerisch, daher ist es definitiv ein Muss, nach Berlin, Dortmund, Kohl, Frankfurt und München zurückzukehren. Nachdem ich von diesem kleinen Durchlauf durch die Staaten zurückgekommen bin, werde ich mit einer lokalen Industriedesignerin eine akustische Session für Count Your Steps und ein Musikvideo für Just Please Say No aufnehmen. Also ja, nächstes Jahr steckt hier bei Forever in Series und Associates eine Menge Projekte bevor es das Studio erneut trifft, diesmal in London. Nein, André. Vielen Dank an Dich und für diese erstaunlichen Arbeit, den du für Musiker machst. Ich fühle mich wirklich sehr geehrt, Teil davon zu sein. Und die Interesse an meiner Musik. Ich möchte nur die Leser dazu anregen, sich bewusst zu machen, was in Ihrer lokalen Szene passiert. Einige großartige Künstler verschmelzen überall auf der Welt mit der Szene, und das möchten Sie nicht missen. Lasst uns alle diese Fahrt genießen.